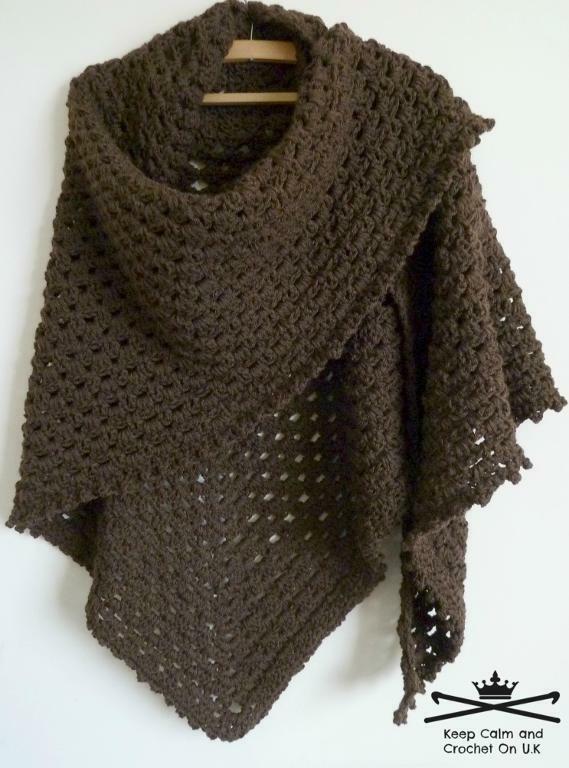 Shawls might be our very favourite thing to create out of yarn. They’re just such versatile accessories, useful in so many different ways and kinds of weather, that crocheting them feels fulfilling. Besides that, they’re also usually simpler and less time consuming than bigger projects like blankets and sweaters! That’s why we always have our eyes peeled for great shawl patterns. 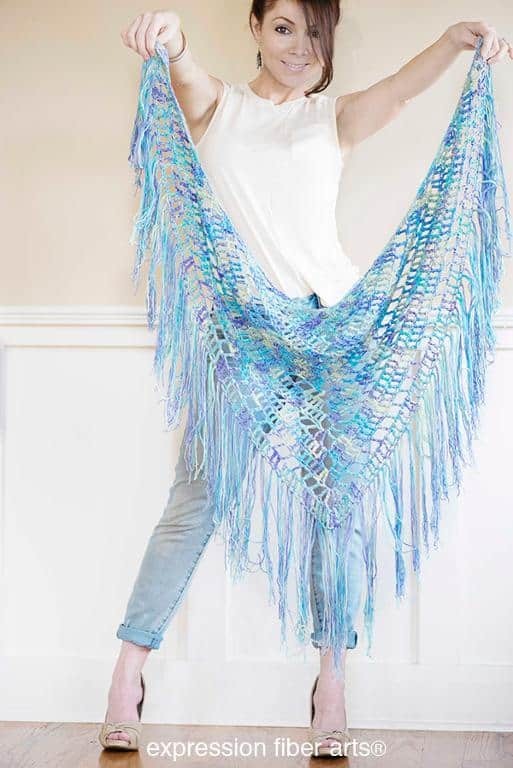 Just in case you love crocheting shawls as much as we do, if not more, here are 15 of the nicest crocheted shawl patterns we’ve bookmarked recently to try as soon as we can! 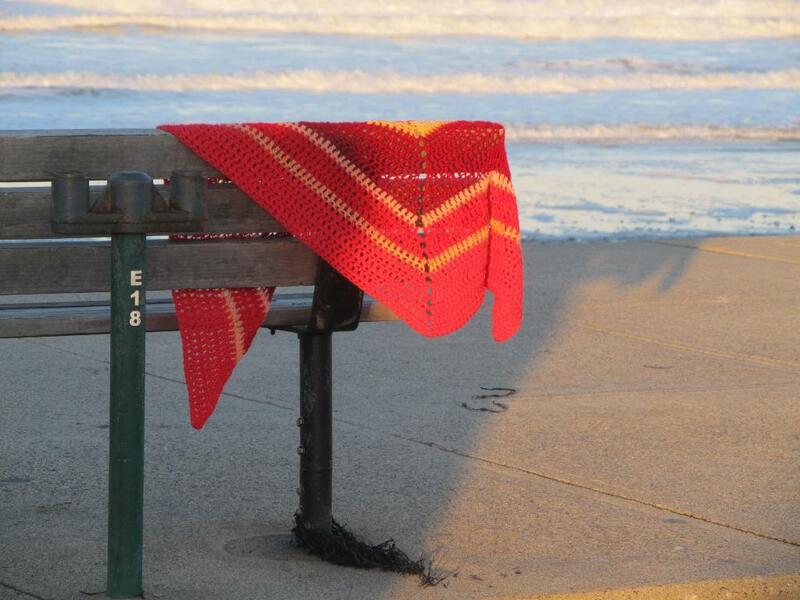 Are you quite experienced at crochet and feeling up for a little bit of a challenge? Then maybe you’d be ready to tackle a lacy pattern! 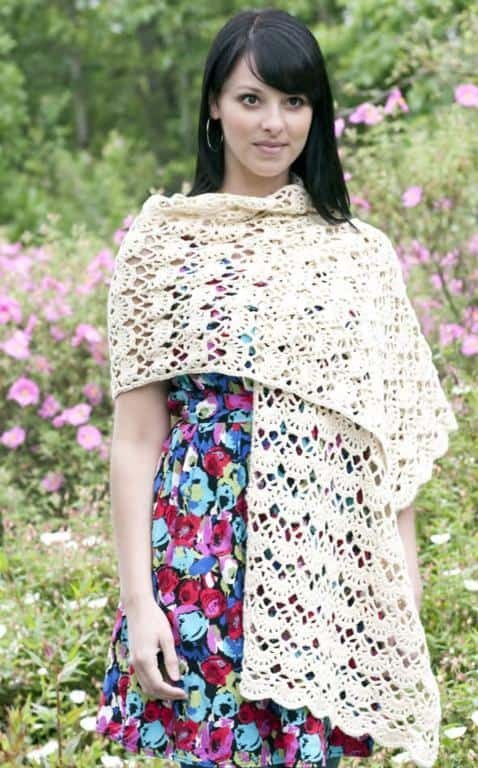 We love the idea of wearing this lovely shawl from InterUnet on a late summer night or over a sweater in the fall. 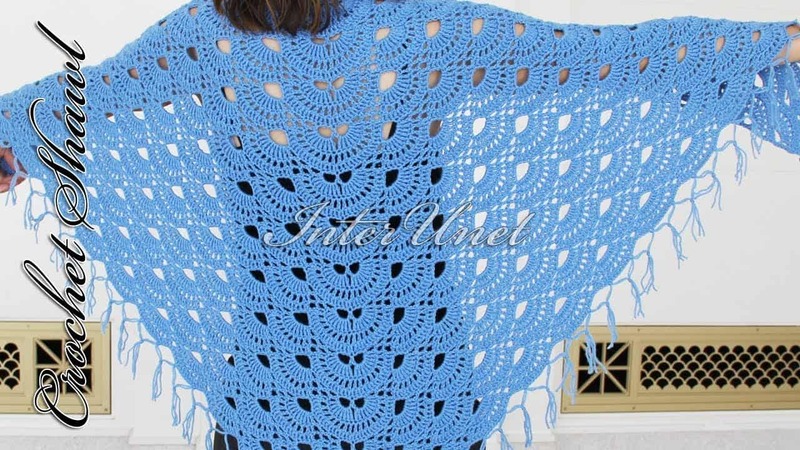 Besides already being beautiful in its construction, particularly for its length, this shawl pattern is stunning because it’s actually beaded! Doing beaded crochet might sound intimidating and difficult, but The Blue Brick is here to walk you through the process. Did we catch your attention when we started talking about lighter shawls that are good to wear in milder weather but you’re not feeling quite ready for the difficult level of the pattern you saw above? Then perhaps you’d get along a little better with something like this mesh shawl featured step by step on Universal Yarn! Have you always loved the way a full colour gradient ombre effect looks but you can’t find a singular yarn that takes you through the colour story you’re looking for? Then we think this fantastic granny stripe crochet pattern featured step by step on Fairmount Fibers, where you build your own ombre by striping five separate colours, might be the perfect pattern for you! Some of our very favourite shawl patterns are those with specific, lace inspired stitches that let us create stunning designs without actually being too hard to finished. 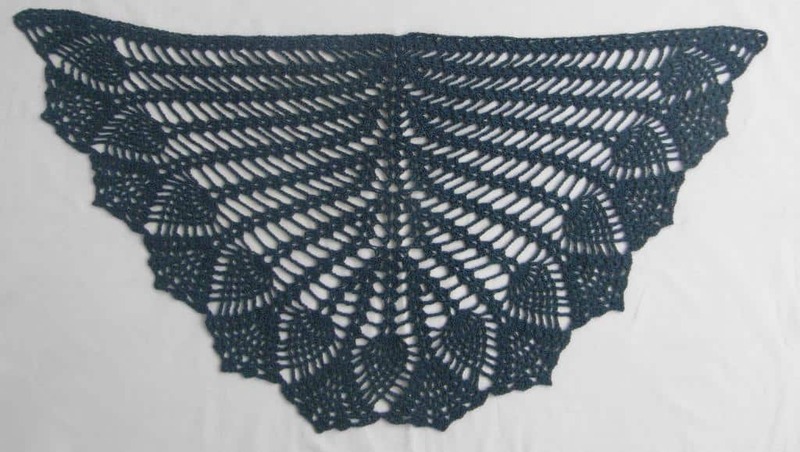 This fantastic pineapple shawl, named for the shape of the stitch, is the perfect example of what we mean! Get the full instructions on Justyna Kacprzak. Just in case you’re still adoring all these lace ideas but haven’t quite found the one that makes your decision concretely, here’s another lovely, light design for your consideration. We can’t get over how pretty this eyelet and fan patter, outlined step by step on Cascade Yarn, really is. Rather than creating stitch definition and fancy patterning with eyelets and lace, would you rather crochet a denser fabric that has some interested stitchery to it? Then perhaps these waving lines, resembling leaves at each peak along the edge, would be more along the lines of what you’re looking for! See how it’s done in more detail on Aparna Rolfe. 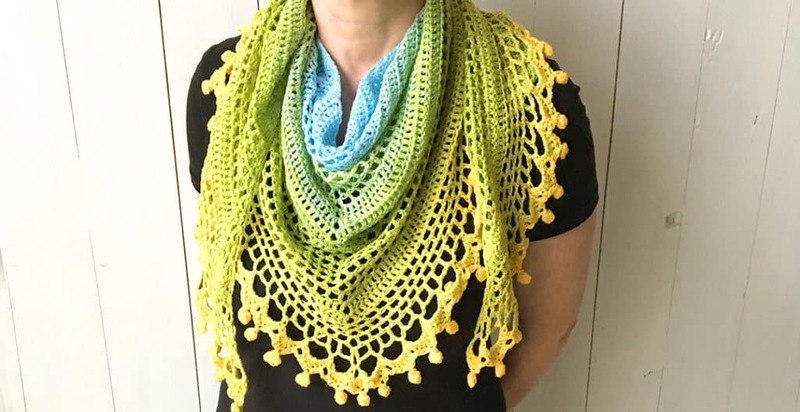 Have you actually been thinking about making yourself a very light covering for summer events but you’re a bit on the slow side when it comes to crochet so you were hoping to start now, even though the weather is chilly? Then maybe this lovely flower inspired shawlette featured in great detail on Universal Yarn will be the summery thing that gets you through the winter. Have you actually been looking for something stripy but a little bit simpler than what you’ve seen so far because you’re closer to the beginner’s end of the spectrum, even though you’re still intent on completing a shawl of some kind? 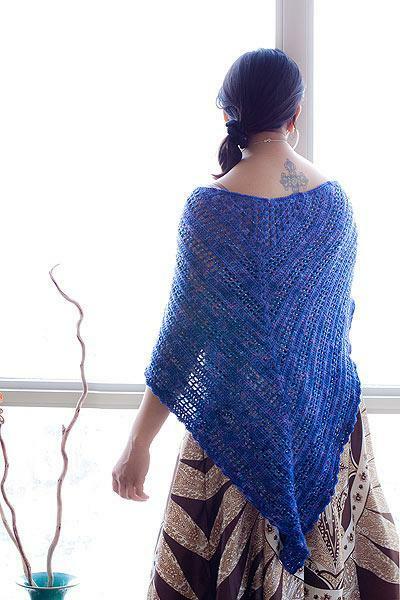 Then perhaps this simple, striped triangular shawl from Anastacia Knits Designs is the perfect match for your skills! Are you still scrolling through the options but catching yourself thinking about the meshy designs you’ve seen, even though you’re hoping to find a slightly more eclectic one that truly suits your style? Then we think you might get along very well indeed with this funky fringed design featured on Expression Fibre Arts! 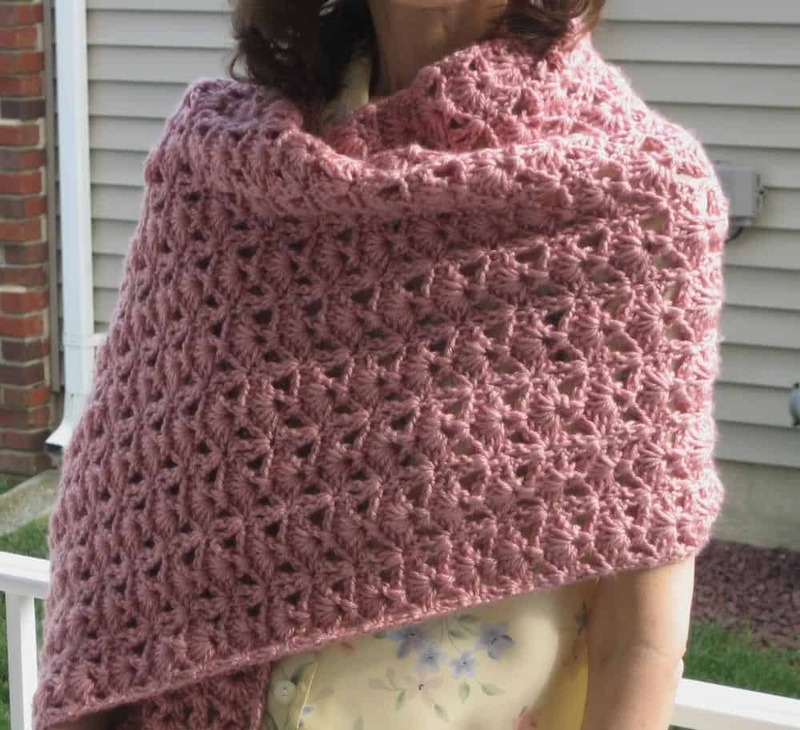 Just in case your style is more reserved and traditional, here’s a design modelled after classic prayer shawls, which are a little more dense, larger for wrapping, and usually neutrally coloured! KCAC on UK has the full instructions for you. Modern, stylish patterns are awesome and all, but every once in a while we liked to find a vintage pattern or crochet something that’s modelled after vintage styles and techniques. That’s why we adored the shape and lovely fanned stitch work of this pattern featured on Roseanna Beck! Are you the kind of person who loves colour changes but prefers to get them from a singular self striping, colour washing, or variegated skein? Well, here’s a pattern that we think you’ll love because it’s plain enough to show off your colour changes without distraction but still has all kinds of complementary personality around the edges! Get the full pattern on Wilma Westenberg. 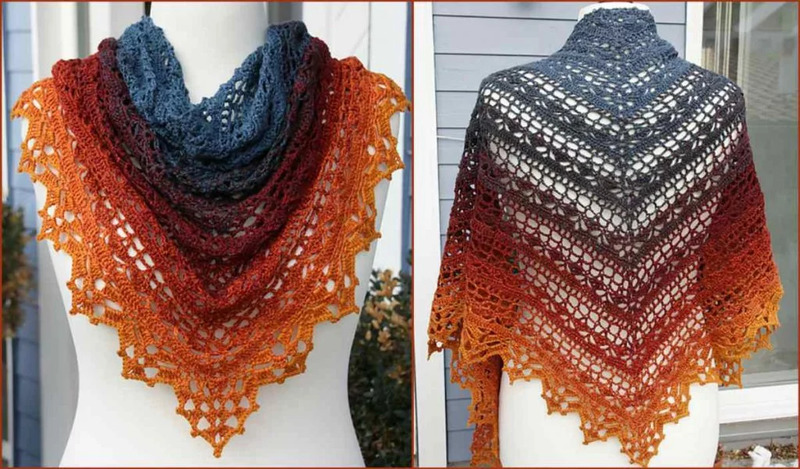 Have you been scrolling through these shawl patterns looking for some kind of rectangular wrap because you’ve always preferred that shape of shawl to the triangular ones you’ve seen? In that case, we think you simply must take a look at this stunning design with beautiful striping colours featured on Expression Fibre Arts! 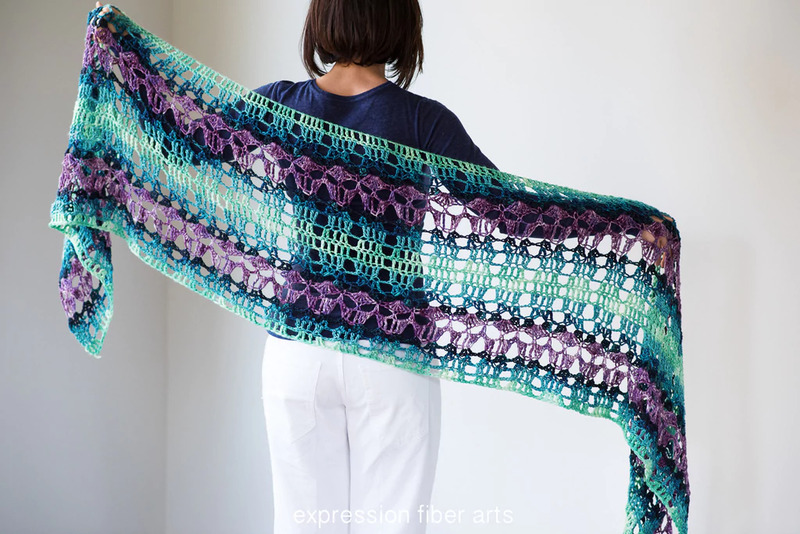 Here’s another shawl that’s fantastic for colour variegation lovers who still want some detail rather than just plain chain stitches! Have some eyelet detail lets the pretty stitch pattern show even in the parts of the shawl where the colour is at its darkest. 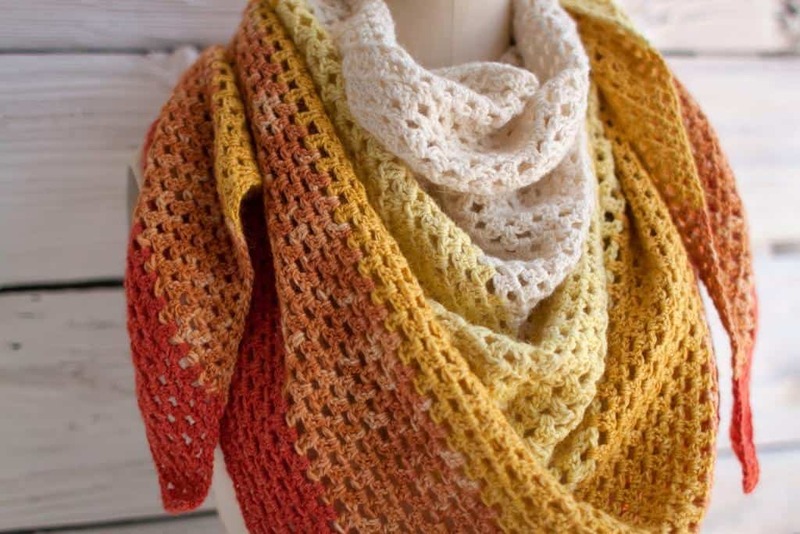 We can’t get over how stunning Your Crochet‘s border is on this project! Do you have another favourite crocheted cowl pattern that you love doing and wearing but that you don’t see here on our list? Tell us all about it, link us to the pattern itself, or show us photos of your finished cowl in the comments section!